Ride across Texas on a mountain lion with Pecos Bill…Work up a giant appetite with the mighty lumberjack Paul Bunyan…spread happiness with Johnny Appleseed…and confront the Fastest Draw in the West! Read these wild tales–and then act them out yourself! 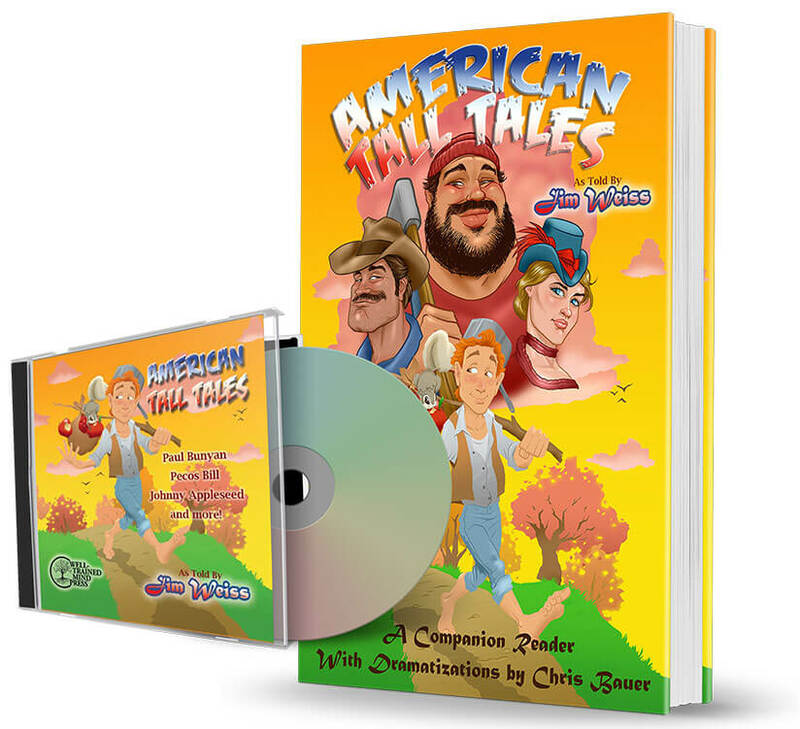 This Bundle includes a digital download of the audio narration, and a digital download of the illustrated companion book. This beautifully illustrated Companion Reader is an exact transcript of Jim Weiss’s award-winning storytelling performance of three classic American stories and one original tall tale. The Reader can be enjoyed on its own, or used along with the recorded performance to build strong language skills. 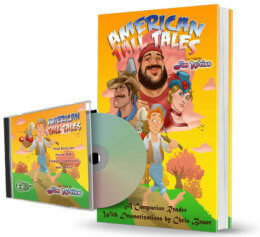 Listen to the Jim Weiss stories, read along in the book to improve fluency, vocabulary, and grammar, and then speak great words and sentences out loud by practicing and performing the short, accessible dramatic versions of Jim’s performances (including a stage play, a puppet show, and a dramatic monologue). You will laugh out loud as you meet Paul Bunyan, Johnny Appleseed and Pecos Bill, and hear an original tale of the wild west.